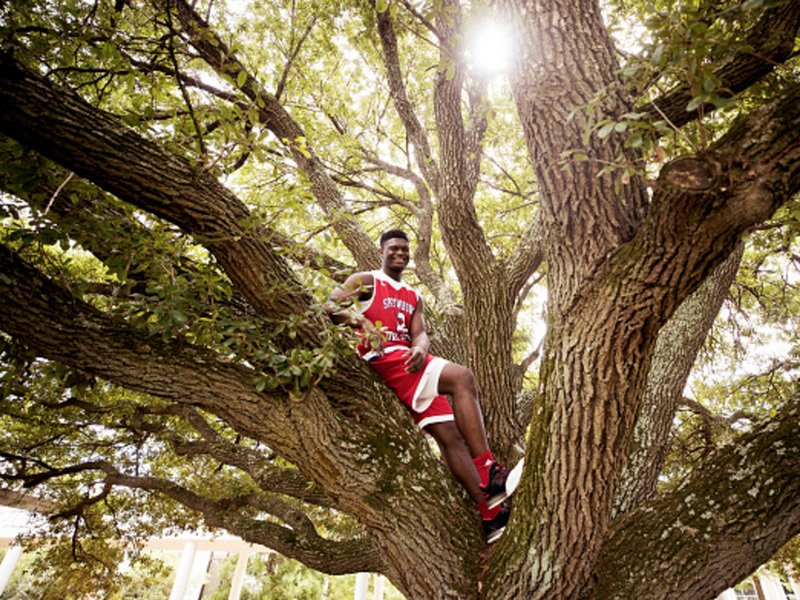 Similar to LeBron James, Zion Williamson earned pseudo-celebrity status as a high school student because of his basketball prowess—but the comparison end there. 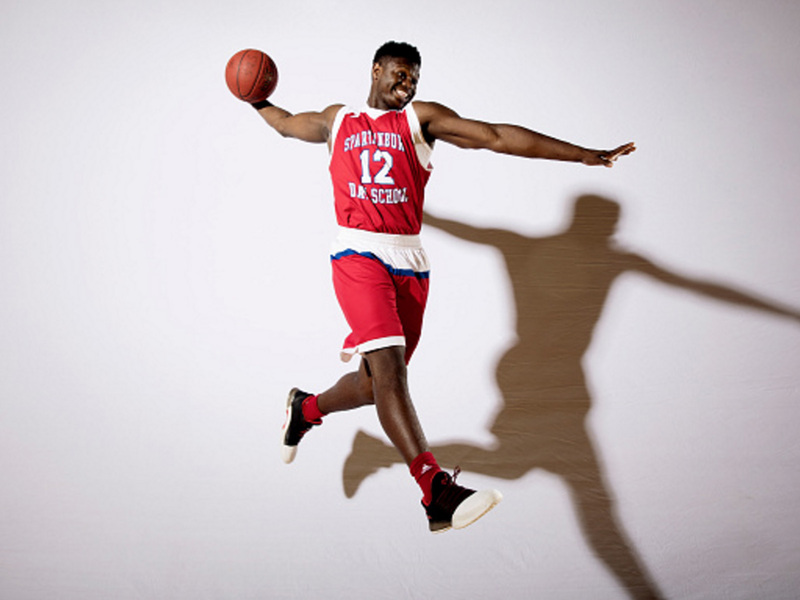 There’s a feature published on SI.com today about Zion Williamson, one of the top prospects in the 2019 draft class. The piece describes how Williamson has attained pseudo-celebrityhood through the publicity attracted by his dunks, plus an Instagram post from Drake, but it intentionally steers clear of making a popular player comparison: LeBron James. You may have come across a headline or two suggesting a resemblance (One example: “Is SC dunking phenom Zion Williamson basketball’s next LeBron James?”), and SportsCenter anchor Steve Levy posed the "Next LeBron" question during a March interview with Williamson. “Um, as good as that sounds, uh, I’m just trying to be myself,” he replied. And that’s where the conversation ought to end. Williamson should not be compared to LeBron, because they are two different players who came of age in different eras. For some context, Williamson is not currently regarded by most recruiting analysts as the best prospect in his own high school class. The 247Sports Composite, which incorporates data from several services, rates him No. 2, behind power forward Marvin Bagley. There’s a chance, though, that Williamson rises to No. 1 if Bagley reclassifies to 2017. However Williamson finishes out his high school career, and whatever he accomplishes as a college player, Williamson’s current reputation among his peers isn’t in the same stratosphere as LeBron’s was when he blossomed into a surefire No. 1 draft pick at St. Vincent-St. Mary High School in Akron, Ohio, more than a decade ago. At first glance, the comparison doesn’t seem totally off-base. Williamson is about 6'7", 240 pounds, while James checks in around 6'8", 250 pounds. And recruiting websites list Williamson as a small forward, the position at which James is estimated to have played two-thirds of his minutes over 14 professional seasons, according to basketball-reference.com. Also like LeBron, Williamson’s brand of forceful athleticism allows him to brush off perimeter defenders when attacking the basket. Williamson is also a rocket-fueled leaper who’s capable of delivering thunderous in-game dunks that fall under the same category as LeBron’s “with no regard for human life!” show-stopper against the Celtics in the 2008 Eastern Conference Semifinals. Yet those superficial similarities gloss over the differences that render any serious Zion-LeBron discussion a mostly useless one. Frank Burlison is a basketball writer based in Southern California who’s been covering the sport long enough to remember Magic Johnson as a high school player. He’s reluctant to stack up players from different generations against one another, but Burlison did take some time recently to talk about Williamson, LeBron and how they compare. For Burlison, there is one aspect of Williamson’s skill set that calls to mind LeBron. “I can’t recall anybody close at those physical dimensions since LeBron, who passes that well.” Still, trying to square the Next LeBron label with the basic reality that neither Williamson’s game nor his body is the same as LeBron’s seems problematic. The case for Williamson as a LeBron carbon copy is unconvincing on the court, and the connection feels even more flimsy when you move off of it. LeBron’s SVSM team was shown on national television broadcasts, but there was no YouTube or Twitter during his high school career, which ended in 2003. The proliferation of social media since then has enabled players like Williamson to be seen within minutes by thousands of people across the world who’ve never actually watched him play a game. All it takes is one person in the crowd holding up their smartphone and pressing the record button at just the right time for a video of a vicious Williamson poster job to be posted, tweeted, retweeted and blogged. One strains to think about the fevered reactions LeBron’s prep highlights would have elicited from sports-inclined social media users. In any event, the notion, albeit a specious one, that Williamson is the second coming of LeBron throws into sharp relief how we’ve all but officially abandoned the search for the Next Jordan. We should just save ourselves a lot of time, and hand-wringing, by ending our quest for LeBron’s heir, too. It’s not Zion, and it probably won’t be anyone else either.